Durga Puja is one of the most beloved times in our community – every year we get together, tempted to see all the people we haven’t seen in recent months, sometimes even years. I still remember coming to Puja since I was 4 and 5 years old, hoping to see all the Mashi’s and Kaku’s, finding every corner of the Ukrainian Center with friends to find the perfect place to play games. Then being rushed out by my parents to make sure I gave anjali, even though I had no clue what it was — I knew it made my folks feel good to know that they were giving me their blessings for another prosperous year. It was by far the most exciting time for the entire Indian community that I called “my sphere”. Over the years, it’s slowly been slipping away. As a young dance student in the community, I always looked forward to dancing at Kallol Durga Puja. I still enjoy it. We performed on Friday of Durga Puja this year, with my new dance company KALAMANDIR, and our fellow dancers and our director couldn’t be more grateful and happy about the opportunity. We were invited to perform a few selections from our most current repertoire. However, I can’t say the feelings were the same for all of the community-inspired groups at Kallol Durga Puja 2010. I was thoroughly and completely disgusted by the behavior of the cultural committee with one specific evening, Sunday evening, and I’d be cheating myself if I didn’t bring this situation to the light, at least to make my feelings heard (however accepted or not accepted). The people I was with, including MANY other people in the audience, were hoping to see Zafar Billah’s musical program come to its intended finish until the Kallol representatives entered the stage, mid-narration by the singers, and hurried them to get off for the next program. The excuse that was given was that the Ukrainian Center had to be vacated before 11pm — nevermind the fact that a commercial act finished the evening off at 11:40pm, as per the time on the clock when people were ready to leave. Zafar Billah, Renee Dutta, Purba Mukherjee, Anirban Dasgupta, and Dibarkya Chatterjee were performing and coming to the conclusion of their performance, with Dutta even saying “This will be our last number”, and still there were on-stage representatives shooing them off. It was unprofessional, extremely rude, and completely uncalled for. Not only are Dasgupta and Chatterjee professional musicians who put in a lot of time, traveled from a far distance and delivered an excellent performance, but our very own extremely talented community artists – Billah, Dutta, and Mukherjee – put in the same amount of time to bring their program together. As a dancer and eternal student of the arts, I am frankly appalled. Every show that we (as art-lovers) commit to involves traveling, rehearsal space rental, and time away from our friends and family. Each show that is performed involves a certain thought process, a certain agenda, to speak to the audience in a personal way, in our way. I mean, isn’t that what performing for the community is about? Its how we cultivate the special attention, love and support from the years into our performance that we present, and it made me completely sick to see our very own, someone I consider my inspirational “didi”, Renee Dutta, be cut off in the middle of her sentence in the middle of her show! Especially considering the fact that it wasn’t their program that was running late, but it was Kallol’s lineup that was pushed back. A much classier way to deal with the situation (because I do believe that it was pressing and understandbly hard to manage) would have been to come speak to one of the artists BETWEEN songs and ask them nicely to wrap it up because they were running short of time. Personally, I know that the artists involved in that program were traveling from central Jersey to Manhattan multiple times a week to rent studio time in Midtown Manhattan for the successful collaboration, and it’s so strange that the people who are in charge of putting on a cultural lineup are not sensitive the amount of commitment shown by the artists. I am, by no means, saying that Kallol Durga Puja wasn’t successful. I am extremely happy with the tender care given towards our dance company (by the cultural committee themselves) to perform in a prime slot of the lineup on Friday evening. I thought there were many aspects of Durga Puja that were even better this year than previous years because of the organizing capabilities of the new administrators. And most of all, I will always be grateful, on a personal level, for all the love and support shown by my community for my new endeavors and dreams. But I cannot stay quiet to such insensitivity to our fellow artists. When Kallol members and non-members pay a hefty amount to celebrate Puja with their family and friends, we expect the intended lineup, not a complete disregard of the work put in to making the best show possible. I noticed that there may be a few things Kallol could think about when running the next big Durga Puja celebration, at least in my opinion. When performing the following night (Saturday) at Garden State Cultural Association, I noticed many aspects of their program that made it easier for the artists and the audience to enjoy the artistic lineup of performances. The main aspect was the venue: it was in a school where there was an isolated auditorium for people to enjoy the performances. The kids were running around playing, but outside of the performance space, not disturbing audience members. The food and idols were set up in a separate spot for people to engage in proper “adda”, the good stuff we all look forward to when going to Durga Puja. There was a magic show for all the kids to participate in right before the cultural show for the evening, giving the children an opportunity to spend some of their pent-up energy. Maybe we can all learn from that and find a way to improve the setting for Kallol Durga Puja for years to come. The only reason I’m writing is because Kallol is my home and has always been so. If it wasn’t for Kallol, I might not have been able to take dance as seriously as I take it now. I am grateful for that. But if we cannot learn from these past mistakes, we cannot improve, and we will lose people’s loyalty and appreciation, slowly but surely. I hope it doesn’t come to that. This account of the Anirban – Jaffar Billah incident is not completely true. Before the start of the show, Anirban was requested to conclude in 50 minutes. 27 minutes before the curtain down, one of the cultural committee members walked on stage to request Anirban to wrap up in 15 minutes. If the piece by Brinda is indicative of the extent of interest and involvement of our children in our culture, it is definitely encouraging. But unfortunately such can not be generally said, our so called second generation is not into Durga Puja and sundry other Bengali cultural stuff. I am pleasantly surprised and indeed gratified that one of the members of that generation keeps track of the Bengali socio-cultural scene and takes part in it. Her opinion and her article, articulate, lucid, thoughtful and most of all respectful, deserves attention and should engender steps to address her concerns. If we mean what we profess about the second generation’s participation, we better not ignore her. But I recognize that there may be a cultural communication problem too. The standard of decency and decorum of the likes of Renee and Brida who have grown up in thia country may be in clash with the one and a half generational internet crowd’s. The perceived rudeness and the lack of propriety may quite be acceptable and common place with the environment they grew up in. 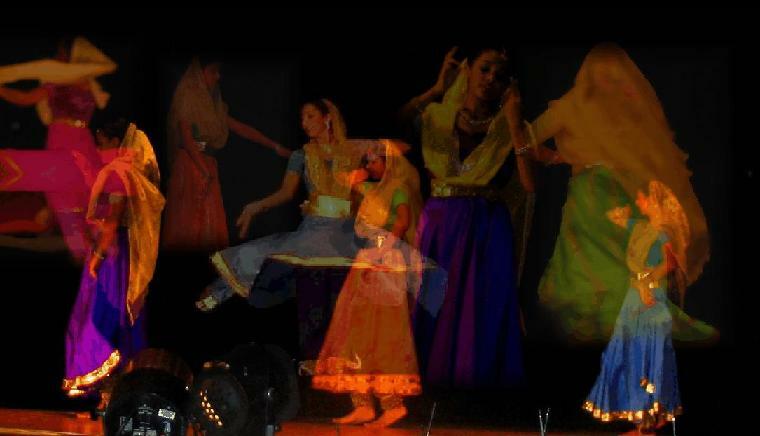 Brinda, you are an excellent dancer and performer, we all have taken notice of you since you’re a child. But, you know what? You write well too, you should do it more often, about Bengaliness of your generation and your views about our heritage. Sudipta Bhowmik offers a great vehicle for expressing yourself. Although not a privileged “second generation”, and hence at the risk of not been taken seriously, I too congratulate the organizers of the 2010 Durga puja for an awesome event. But then again I am not a ” second generation” who cares what I think. Our inherent bengaliness precludes us from taking anything seriously from someone who does not have a “foreign accent”. All hail the “second generation” who contributed sooooooo much to the event, or did we get taken for a ride for some stage time…….. There is no need to be sarcastic about how much the “second generation” does or does not participate in community activities. I can name approximately 100 off the top of my head, maybe not in this Durga Puja but in other major community functions and events, that do a lot to participate, myself included. And also, yes we are privileged for living a life in this country as a result of my parent’s hard work through education and immigration, but that doesn’t mean we sit around and don’t care. The question that I have is, why isn’t our generation interested in Durga Puja anymore (on a general level)? We have to ask ourselves why just a few years ago, a large amount of people who came to Durga Puja fell within the 10-25 year old age group, and now that has slowly been slinking away. The program that I mentioned above in my take on Sunday’s lineup included two “privileged second generation” artists, who worked very hard to put a program together and were rudely interrupted AND kicked off stage. As a “privileged second generation” member myself, I can say that we definitely could take a step in towards producing events ourselves, but it is also very hard to relate to ‘our inherent bengaliness’ as we are American children as well as Indian ones. For the many people in my age group and my older brother’s age group who participate in community functions, it takes a lot (including parental support, but also inner curiosity) to perform in classical/creative dance numbers, bengali plays, hindi theater, vocals, etc. That needs to be recognized. And by most people who have children who are involved in the community, it is recognized, which makes it easier for the children to continue in those kinds of activities. Anyway, enough rambling. What do we privileged second generation kids know anyway, right?